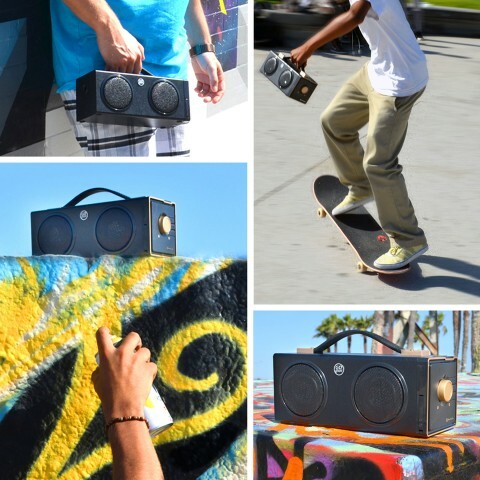 Designed with a retro boombox look and advanced bluetooth technology, the BXL portable speaker allows you to bring your music wherever you want to go! Featuring a similar cube design of its BlueSYNC BX counterpart, the BXL's larger housing offers retro style with enhanced bass resonance. 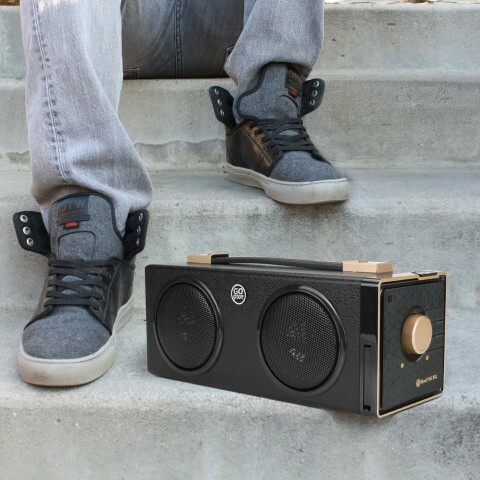 This portable boombox is packed with two 50mm front-firing drivers and 12W PEAK power to deliver room filling, stereo sound. 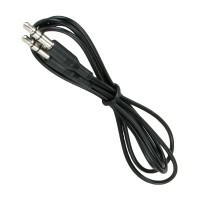 Play audio through Bluetooth, a 3.5mm AUX or even MP3s on USB Flash Drive. 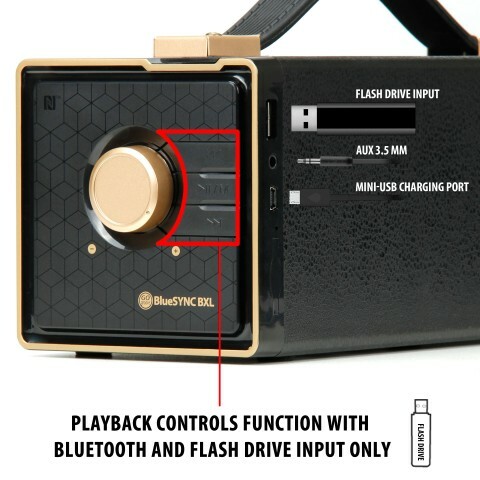 The on-board controls allow you to control playback for both Bluetooth and Flash audio. 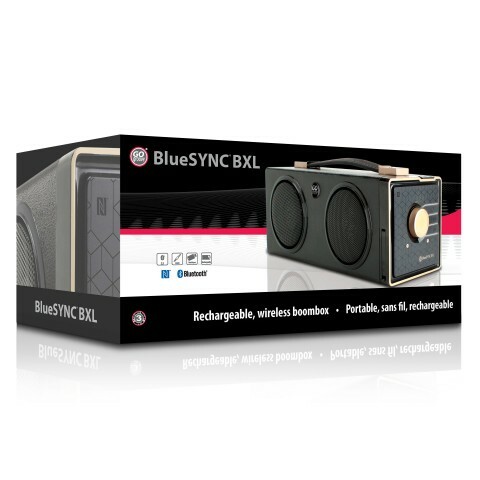 The BlueSYNC BXL is equipped with both wireless Bluetooth and NFC capabilities. 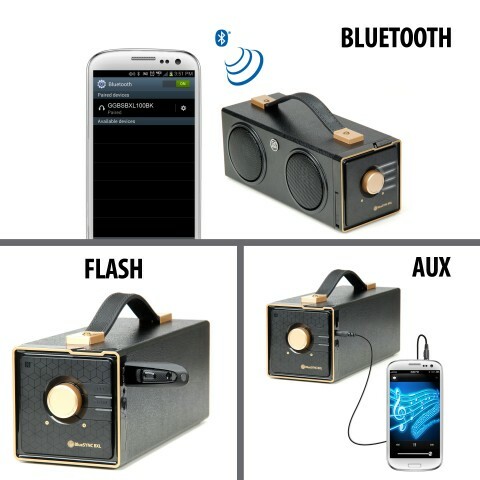 Pair any Bluetooth device and enjoy your favorite tunes up to 33 feet away without the limitations of wires. 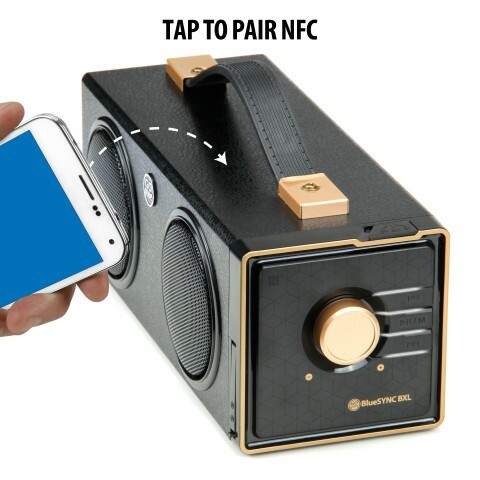 NFC technology eliminates the pairing process with "tap-to-pair" connection with supported devices. Simply touch your phone to the N-mark and pair effortlessly. 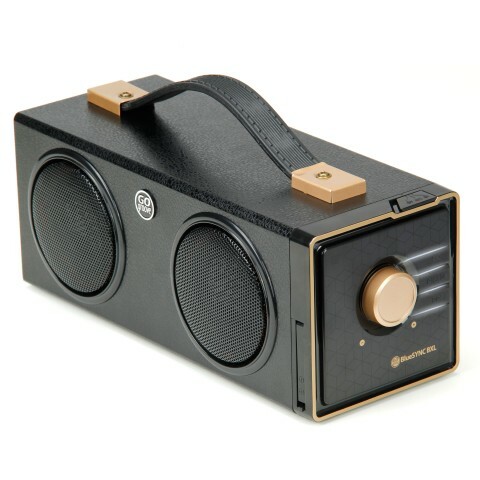 An integrated microphone turns the speaker into a wireless speakerphone. 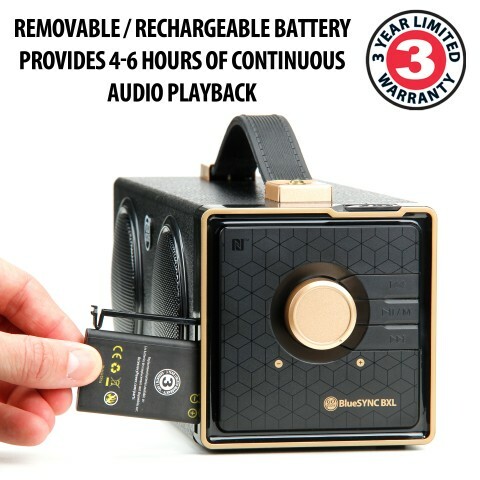 The BlueSYNC BXL is ready for action with the built in carrying handle and removable, rechargeable for up to 6 hours of audio. 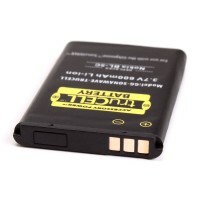 Keep the party going by swapping batteries on the fly (additional batteries sold separately). 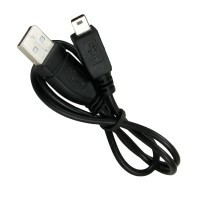 When the party is over, use the included USB cable to recharge from your PC's USB port or smartphone charger. 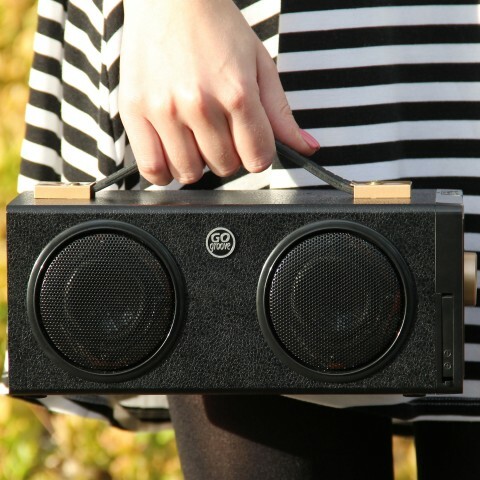 Now you can hit the road with your favorite tunes and start a dance party anywhere.